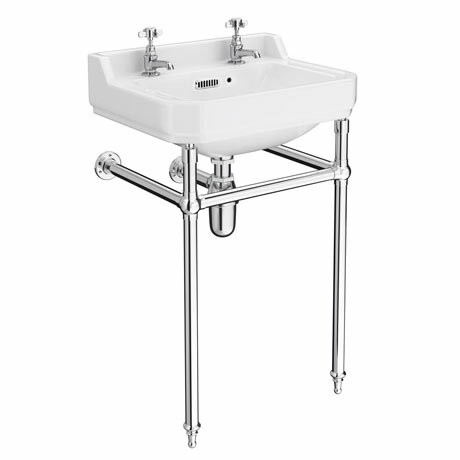 A high-quality traditional 560mm wide wall mounted basin with chrome wash stand, ideal for creating a period look in your bathroom. Manufactured using high-grade materials ensuring a quality finish and long lasting durability. "The product is excellent and very good value for money my wife is very very happy so I'm very happy too anything for an easy life, Thank you."